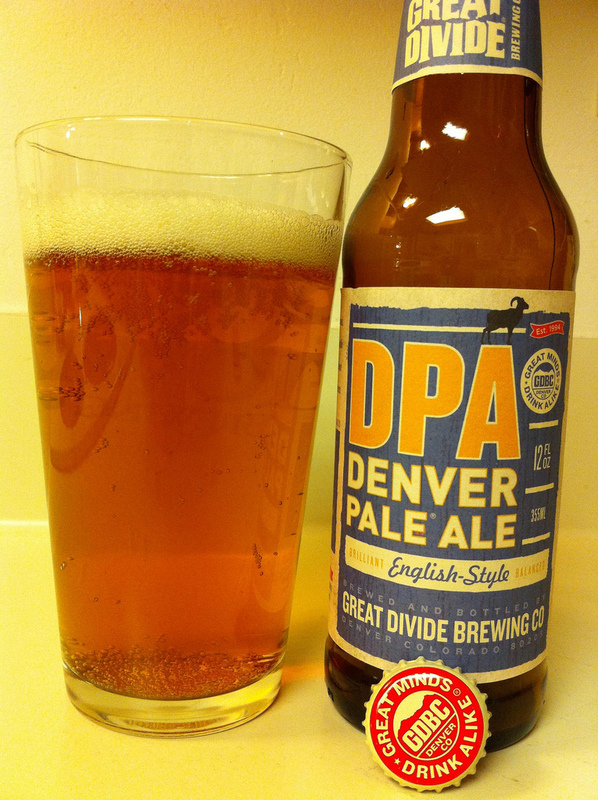 Great Divid Brewing’s Denver Pale Ale (DPA) starts with an slightly earthy aroma from the hops. A very minor blueberry aroma was detected by my daughter, which I agree with. The color is about a 14 on the SRM scale. I would call it a golden tan. The flavor is assertive for a pale ale, but it did come from Colorado where ever beer is hoppier than the style calls. There is a good maltiness that is throughout the beer’s flavor. I would suggest this beer if you want a full flavored pale ale with a strong malt backbone. Now this is one I have had before. In Denver no less. Denver does seem like the place to have this one.